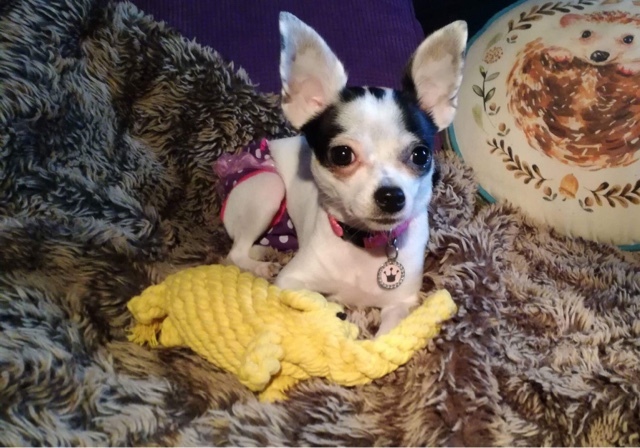 This elephant dog toy is super cute! I loved it as soon as I saw it, but unfortunately neither Cherry or Elgin like rope type toys. Luckily I was able to recruit my friend Bev and two of her dogs to review it for us. Thank you Bev, Dottie and Scooby! 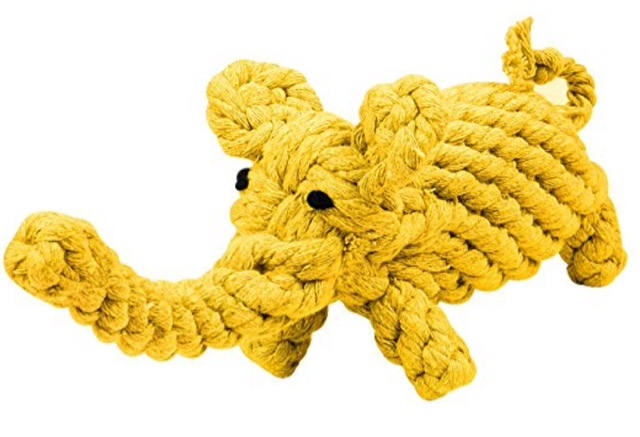 Yellow Elephant chew toy measures 9 inches legth, 2.4 inches width. Suitable for cat kitten puppy dog small animal. Note: Large dogs and powerful chewers may destroy the toy easily and ripped pieces may pose a choking hazard to your pet. "My dogs absolutely love this toy. 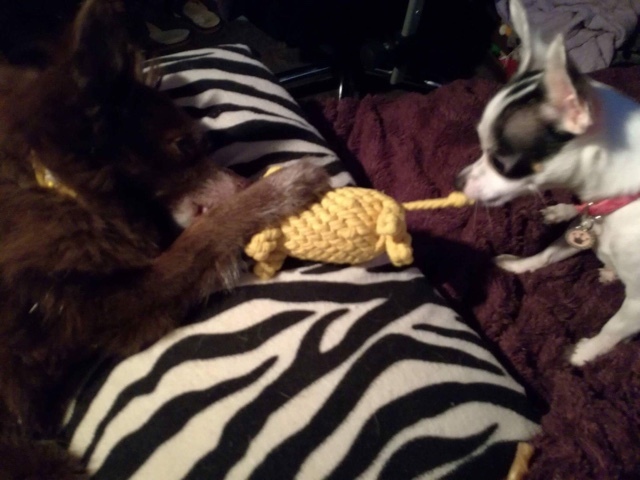 The puppy loves to chew it and both dogs enjoyed playing tug with it. 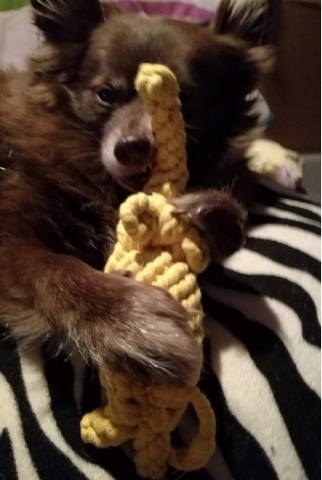 My Pomeranian, who hardly ever plays with toys, actually sneaked off with it to play and he really enjoyed himself. It was lovely to see him having such fun." Scooby playing with the toy. When I asked Bev if she thought the toy was good value for money at £7.99 her reply was "yes, I think it is due to it's play value. They really loved it and I've had to buy another one so that the dogs have one each". It's tug of war time! So this little yellow elephant was very popular with Dottie and Scooby! Thank you for your hard work toy testing! This toy also comes in different colours and shapes - including a tiger, a bear and a dinosaur.